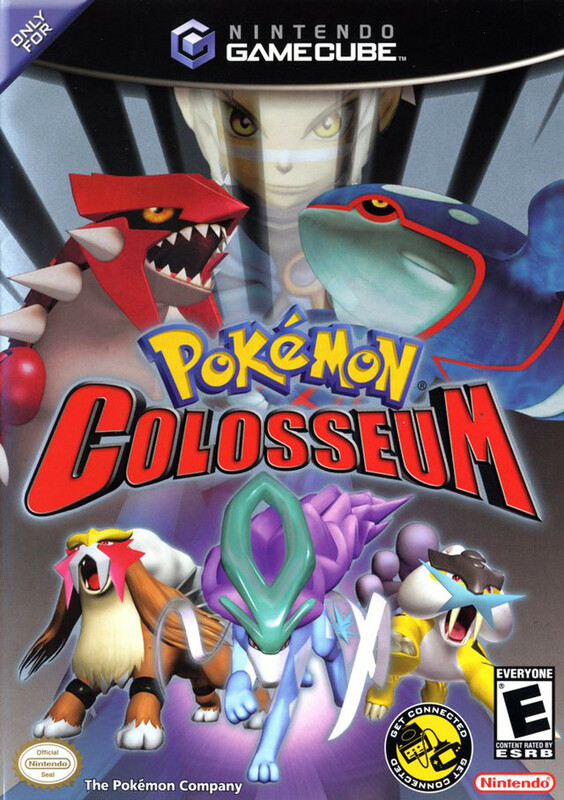 Released back in 2004, Pokémon Colosseum was Nintendo’s first attempt at making a full-scale console RPG out of their Pokémon series. Having been an avid fan at the time it was originally released, I remember being severely let down by the nontraditional take on the Pokémon formula. My teenage self couldn’t even bother to complete the game, despite the allure of trading some truly worthy Pokémon into Pokémon Ruby. Think of all the free time I had then! I’m revisiting the game now as a part of my grand Pokémon ambition, and I came away enjoying it more than I originally did for the exact reason I disliked it then – it’s different. Double battles all the way in this game. Wes, the player’s avatar, is a mute antihero attempting to foil the plans of the nefarious gang he recently betrayed. Alongside a spunky girl named Rui, who is the only known person able to detect Shadow Pokémon, the duo set about snagging and purifying all Pokémon that have had their hearts corrupted. I thought the storyline and characters were ridiculously simple, although some were just plain ridiculous. Of course, I didn’t begin this game with expectations of a riveting story. In fact, I don’t think anyone plays these games for their story; it’s the gameplay that draws people in. The backdrop of the game is the Orre region, and as it is rather desolate, and a little more rough-and-tumble than other regions, there aren’t any wild Pokémon. The only method of building one’s collection in this game is snagging Shadow Pokémon from other trainers, which goes against everything that had been ingrained in the series up to this point. Once they’ve been snagged, they need to be rehabilitated through use in battle, among other procedures. While battling, Shadow Pokémon may enter Hyper Mode from time to time. While in this mode, their chances of striking a critical-hit increase, however, they may also ignore orders. Calling their name will calm them down. A second distinguishing feature of this game is the battles themselves. For the duration of the storyline, every battle is a double battle. Each trainer plays with two active Pokémon. I really enjoyed the developer’s dedication to this feature. Most other games only feature double battles intermittently, which in a way, dilutes their appeal. Instead, the opportunity presented itself to build my party around combinations that made sense. I didn’t necessarily strategize in such a way, but the other trainers sure did; the combination of Earthquake and floating Pokémon did grow to be annoying. Cities and dungeons weren’t as much a part of this game. Due to the structure of the game, there is a set number of obtainable Pokémon. Following the storyline and having an inquisitive nature will generally result in catching snagging them all. 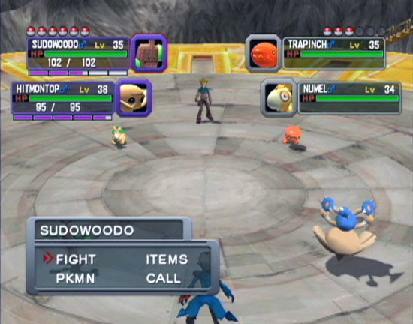 Once the game has been completed, players can freely trade between Pokémon Ruby, Sapphire, and Emerald. There is also Mt. Battle, a 100-trainer challenge, and a few multiplayer battling modes. Should one snag and purify every Pokémon and complete Mt. Battle, they’ll be awarded a Ho-oh – my current quest. Mirror B. is one of the goofier antagonists. 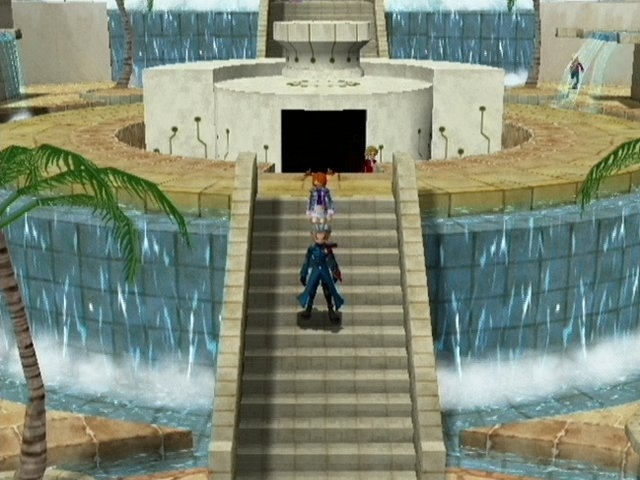 Back in the day, I couldn’t get beyond Colosseum’s differences from the Game Boy Advance games. I simply wanted one of those games with full-scale console graphics, nothing more and nothing less. 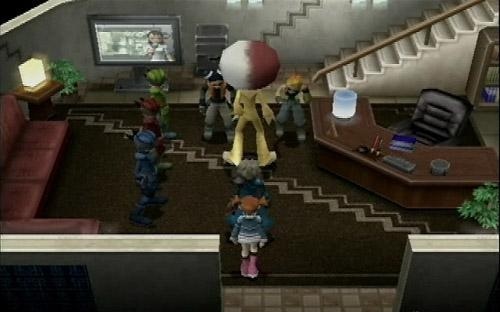 Instead, Nintendo and developer Genius Sonority developed a different type of Pokémon game. Coming to it now, and with tempered expectations, I actually really enjoyed myself. The gameplay differences kept it fresh as I was coming to it having just completed LeafGreen – a very traditional game. Not only that, getting to see so many Pokémon visualized in respectable 3D was exciting for me. This isn’t your grandfather’s Pokémon game.